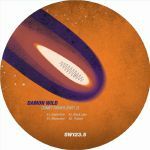 Review: Damon Wild dons his Mistaken Identity guise for the latest 12" on his resurgent Synewave label, and it finds the US techno maestro burrowing into the deeper realms of his sound to create a truly hypnotic kind of boss-level techno. 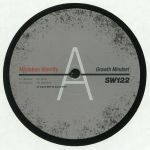 "Mindset" is all low-end pulse that will feel incredible hitting your bones from a proper system, while "Varity" takes a lighter approach that focuses on the upper frequencies. 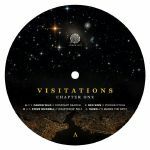 "Scalene" gets lost in an endless loop with a soupcon of disco woven in, and "Backdoor" has a metallic, dubbed out central hook that sounds perfect reverberating over the stern, stripped back rhythms. 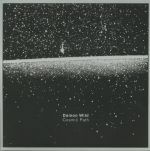 Review: After dropping the Cosmic Path album on Infrastructure last year, US techno veteran Damon Wild returns to Synewave with some further ruminations on the relationship between space and electronics. There's a plethora of starry-eyed sounds to latch onto on "Comet Finder," which launches with a shuddering rhythmic chassis and a galaxy of intertwining synth tones. "Shadows" takes things in a deeper, eerier direction, while "Other Places" drops back even further into a minimalist shaker laden with heavily reverbed acid blips. The "Muted Mix" of "Comet Finder" is an icy, beatless flip of the lead track perfect for sending an interstellar chill out of the speakers. 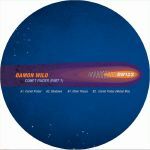 Review: The second installment of Damon Wild's Comet Finder series takes off from Synewave with another four perspectives on cosmically-inclined techno from the long serving US producer. "Death Dive" is an appropriate title for the edgy opening track, which keeps the rhythm section submerged and lets the bleeps do the talking. "Black Lake" heads into more experimental territory, using a crooked groove as a vessel for all kinds of wobbling frequencies picked up like errant microwaves fired across the solar system. "Moonraker" maintains the ominous atmosphere while plunging into a dense, rippling bed of blips and synth wriggles, and then "Radars" rounds the set off with a linear trip through space dust of the highest order.